I purchased my truck back in 2014 and it sat in my driveway for over a year. It's a 1996 International Diesel with a 19 ft. cargo area. 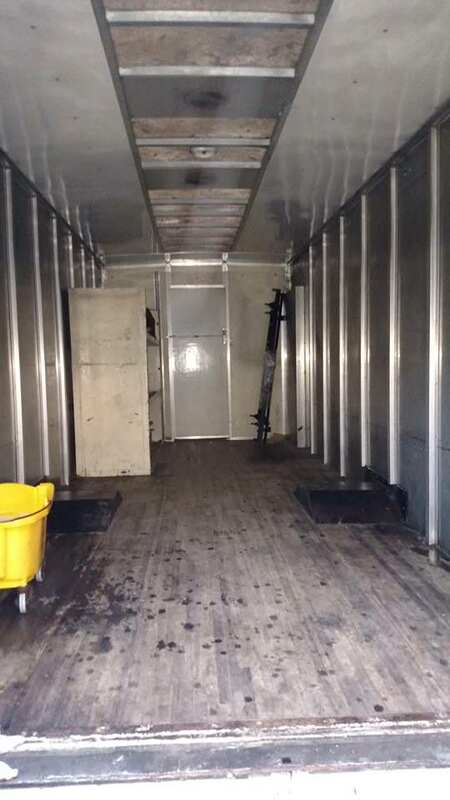 The interior is 7 ft. wide and 7 ft. high. Quite large and perfect for me and my 6'3" 300 lb. frame. My equipment plans include 2 50 lb. 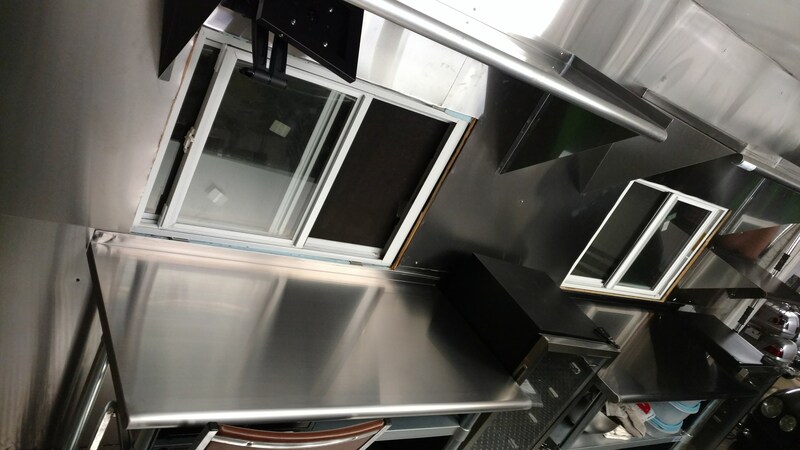 fryers, 36 inch griddle, 36 inch 6 burner range with oven, tankless hot water heater, vertical food warmer, food fridge and drink fridges. 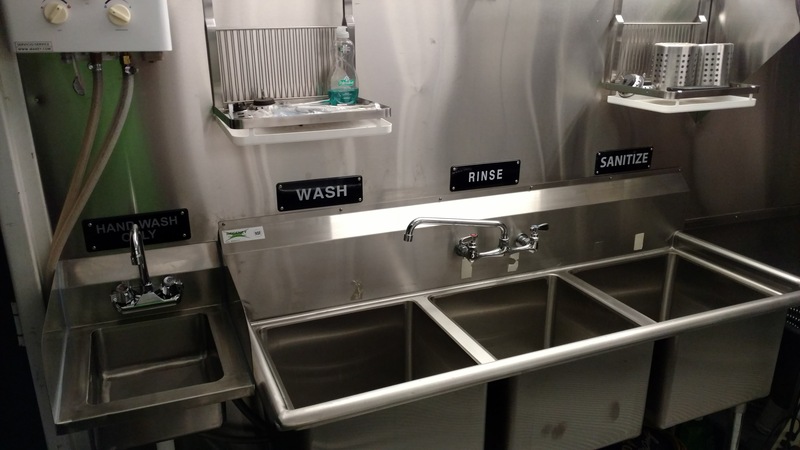 And of course the 3 compartment sink, hand wash sink and clean and grey water tanks. I plan on all LED lighting to keep down the watts and louvered side exit fans for the cook hood. 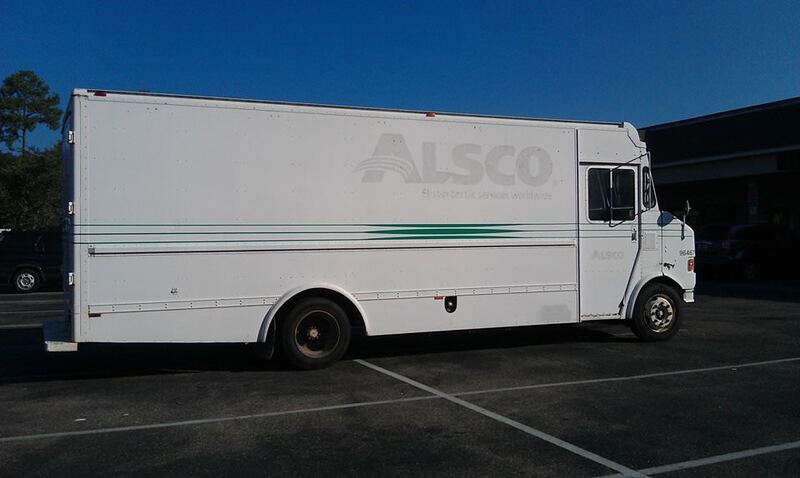 I started on the truck back in 2015 and worked on it for about 2 months before life situations changed and I had to put my project on the back burner. Fast forward 3 years and here I am back at it again. At the outset my plan was to complete my build in about 3-4 months so I'm picking up where I left off. 2 months down and hopefully no more than 2 months to go. 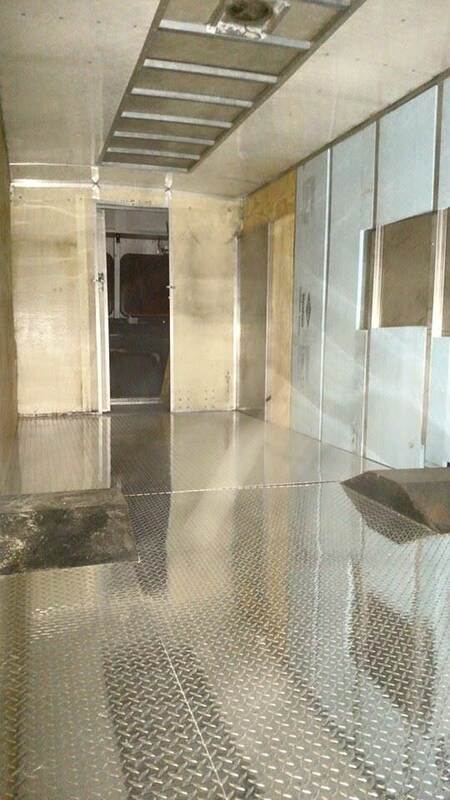 I am performing all of the work myself in order to cut costs and feel 100% comfortable in my truck from day one because I will know exactly what was done and how it was done...no shortcuts and "A1" materials, components and equipment. 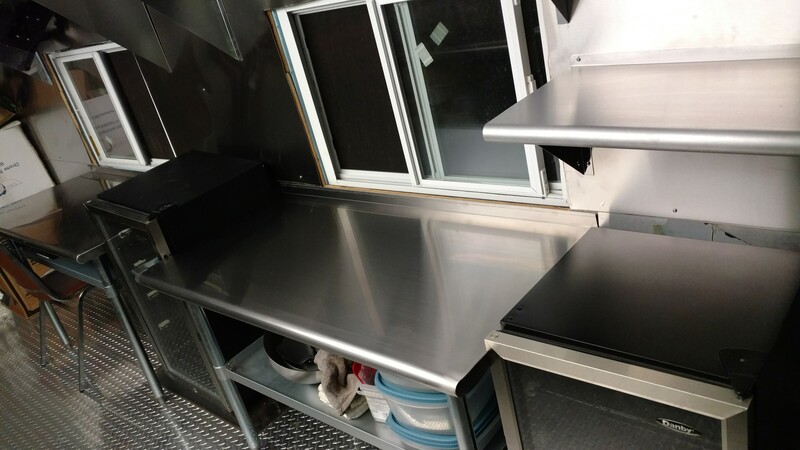 Believe me I considered going the local restaurant supply and food truck builder route but I quickly received a reality check when I was quoted over $5,000 for my range and over $9,000 for the purchase and installation of a 10 ft. cook hood. That was after seeing the exact same range for $1700 with free shipping and the hood for $2400! As well as rusty local used equipment priced as new. No thanks! Anyway that's my introduction to my build and I will post pics as soon as I'm allowed. I also want to thank this forum for the wealth of information that is readily available. After reading various threads on this site it gave me the courage to undertake my own build...so far so good. I'll keep ya'll posted. 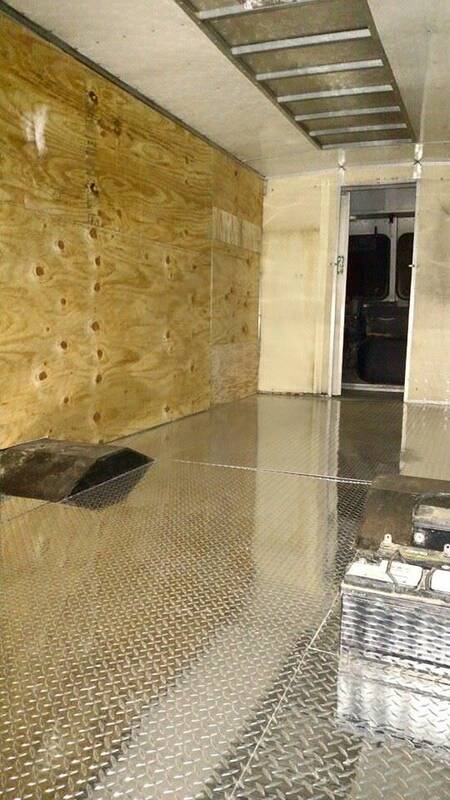 Here are my floors and walls. Windows in and concrete backer board up for cook line. 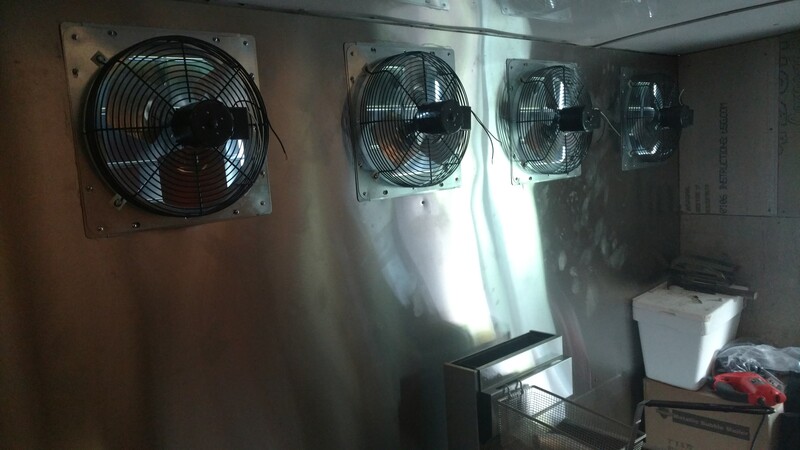 Stainless wall in and fans mounted. Stainless up for the serving side. Shelving mounted. Tables and drink fridges slid into place for fitment. Welcome to Roadfood. Best of luck to you. What are you planning to serve and where? You have some awfully ambitious equipment plans. 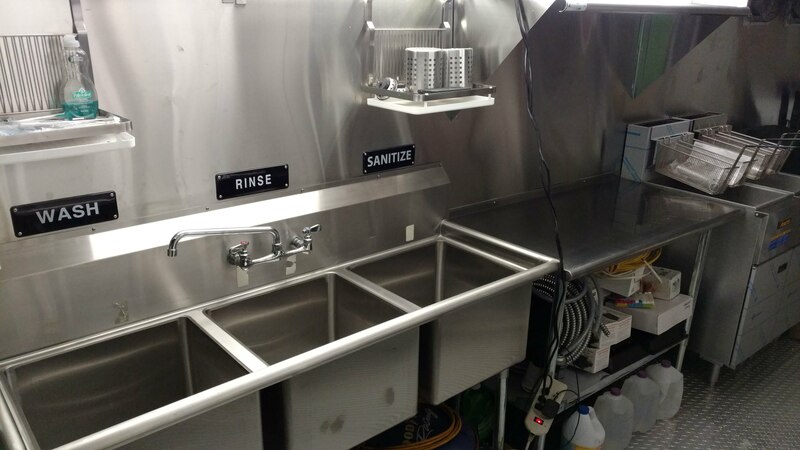 Sinks done. Just have to move out the prep table and fryers in order to start the propane line installation. 50 amp service, breaker panel and receptacles installed. I fired the generator up and tested everything. All circuits functioned as planned. 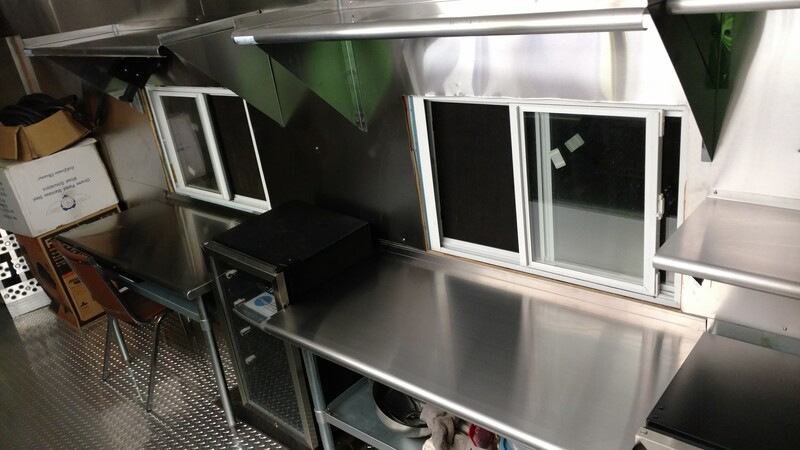 Aluminum awning, exterior lighting, order window, pick-up window and room in between for menu board. New Generator Deconstructed! My plan is to remove the gas tank from above the generator then mount the generator and gas tank side by side on a frame. 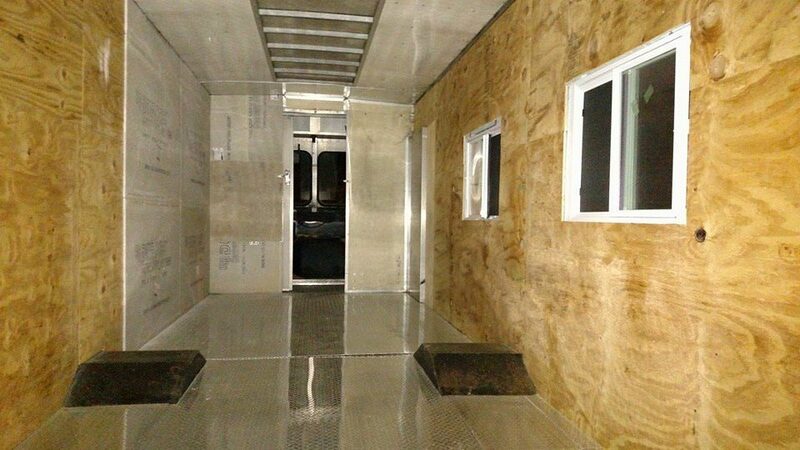 Then tuck it neatly behind a door and bolted directly to the truck's framing. A 10,000 watt, 240 volt, 50 amp, frame mounted power source all for under $750. I relocated the battery, extended the fuel and breather lines and added larger gauge cables to the battery and ground. I added 2 fans to pull the heat away from the generator that will run off of the unused 20 amp receptacles on the control box. Lastly I had to purchase an inline 12 volt fuel pump to pull the gas from the tank and feed the carb. I didn't realize that the generator would not run if you place the gas tank beside the unit because its gravity fed when the tank is sitting on top. to power the fuel pump I just used the 12 volt DC output on the generator control box. I don't see any downside to this setup. Just re-route the exhaust to exit out the side of the truck and you're all done. 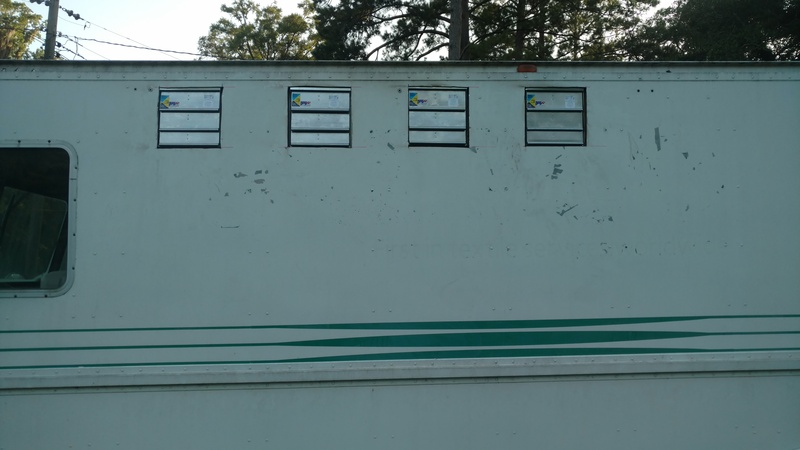 I'm sure this generator won't last like a Cummins Onan but my start-up costs are about $3500 lower and I can always save up a few $$$ for one if I'm operational and making $$$. I see you are running side mount exhaust fans, have you cleared this with HD and FD? In my area (central fla) new installations cannot run these. You can only have them if they are already grandfathered in. Not trying make a problem, just curious. BTW really nice work in the pictures. I was going to go in a similar direction with my generator. You may want to think about getting an adjustable fuel pressure regulator. I grabbed one off Ebay. Mine was pumping more fuel than the carb could handle and it was running really high. Even though the 12 v pump is low pressure, it might still be more than the carb, float, and jets can handle for any long term running. I tried this kind, but it never worked for me. Thanks for the heads up HPX but everything is ok up here in N. FL. Did you ask why they are not approved where you are? Just wanted to give you a heads up just in case. Here's my diagram of my propane lines and mock-up. I plan to use a flange that I found online and alter it a little to bring my 1" pipe through the floor securely. I had to drill out a lip that was at the bottom so that the pipe would pass through. A 1" pipe actually has an outside diameter of 1 5/16". I want to run all 1" to each piece of equipment. It may not be needed but I want to have ample BTU's available even when everything is operating at the same time. I chose a high volume twin stage regulator and high pressure LP hoses as well. The beginning of the propane line installation. This must be one of my favorite builds on here. I'm glad that you are enjoying my build sm1. I figured that I would post an abbreviated thread and only get detailed if someone asks a question about something they see on the truck or where I purchased an item. Only one more propane line to run then on to the dual tank hookup. It looks great! 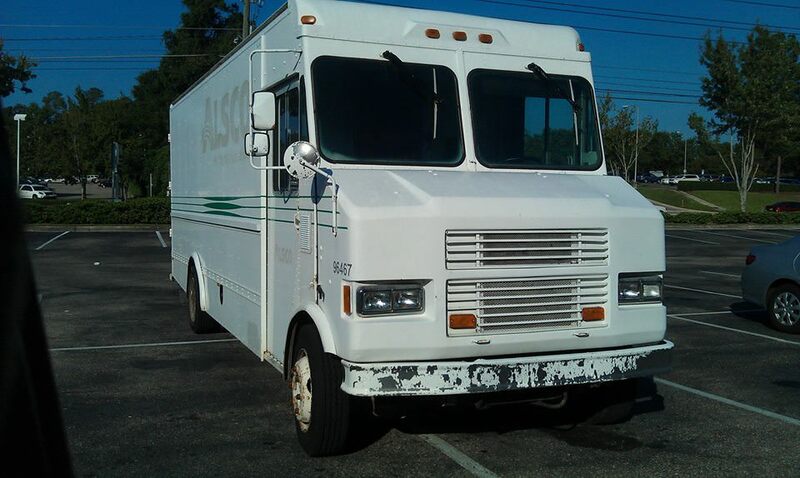 The Tallahassee area is a great place for a mobile truck with all of the games and events. Also, perfect for weddings and parties up and down 98. It can be a food desert when it comes to mobile options. Wishing you the best of luck! Propane lines completed and regulator installed. The flange and brackets worked out great.